Here’s what’s up in the world of TV for Wednesday, November 23. All times are Eastern. Survivor (CBS, 8 p.m.): Two hours of Survivor? Don’t mind if we do. Tonight, it’s a “Million Dollar Gamble,” as “a power struggle between castaways erupts, and each player tries to arm themselves with allies.” Some might say that’s every other episode of Survivor, but we’re sure Carrie Raisler’s discussion post on the episode will make it perfectly clear that they are wrong. 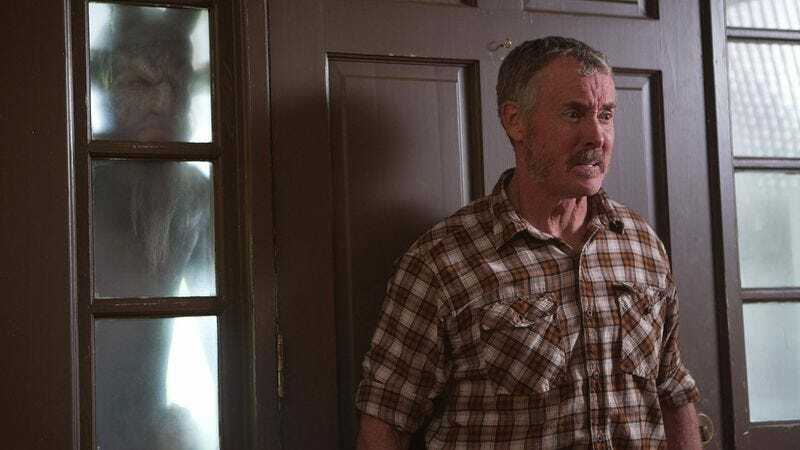 Stan Against Evil (IFC, 10/10:30 p.m.): IFC’s supernatural sitcom ends its first season tonight with two episodes, “Spider Walk With Me” and “Level Boss.” When it comes to the former, do you get it? Twin Peaks. You get it. Also, there’s a giant spider. Then, according to the synopsis, the season finale appears to be a Groundhog Day scenario. So here we go again, Dennis Perkins. 20/20: The Real Designated Survivor (ABC, 10 p.m.): Things are getting complicated, as ABC has chosen to air a special called The Real Designated Survivor in Designated Survivor’s time slot, but not opposite either hour of Survivor. “The special hour reports on real designated survivors, top secret bunkers and underground cities where the surviving government would be hidden, and how governments have reacted in the wake of devastating events, including the day President Reagan was shot and the plane crash that took the lives of a Polish president and top Polish government officials.” This sounds like… fun. The Hollywood Walk Of Fame Honors (The CW, 8 p.m.): The CW’s alternative programming takes all kinds, which we suppose is how tonight’s Wednesday offering is a Hollywood Walk Of Fame special, hosted by Joe Mantegna and his daughter Gia. This is another one of tonight’s two-hour presentations, as that’s apparently the thing to do pre-Thanksgiving day. Broadcasting Christmas (Hallmark Channel, 8 p.m.): Hallmark Channel’s “Countdown To Christmas” is in full swing tonight, with a movie that has all your expected Hallmark movies stars. Melissa Joan Hart—check. Dean Cain—check. Jackée Harry—check. As for the movie itself? Macy’s 90th Thanksgiving Day Parade Special (NBC, 8 p.m.): 90 years of balloons and floats means it’s time to celebrate. That’s where NBC’s Macy’s 90th Thanksgiving Day Parade Special comes in, obviously. History can be fun when it’s about Garfield, so we assume that’s what this special is all about. Also, 90 years (seasons, if you will) of the Macy’s Thanksgiving Day Parade officially means Law & Order: Special Victims Unit isn’t as special as it thinks it is, with its measly 18 seasons. Revenge Body With Khloe Kardashian (E!, 9 p.m.): Enjoy a sneak preview of this, a series that is exactly what it sounds like: Khloe Kardashian “takes people who are experiencing a low point and helps transform them on the inside and out.” And yes, there has been a show exactly like this, only without the Kardashian brand on top of it. The Hills (MTV, 9 p.m.): No, it’s not 2006, even if Chad Michael Murray is in pop culture news more than anyone would expect him to be right now. It’s still 2016, and that means it’s actually 10 years since MTV’s Laguna Beach spin-off, The Hills, debuted and took over your friendly neighborhood What’s On Tonight contributor’s friends’ lives. (She’s never actually seen an episode of this show.) MTV is giving you “100 Things About The Hills.” What are those 100 things? Sorry, no spoilers. The Double Dare Reunion Special (Nickelodeon, 9 p.m.): This trip down memory lane makes more immediate sense than the Hills one; the appropriately titled Double Dare Reunion Special offers “a look back at Double Dare, which premiered in 1986” and “includes vintage footage, new games and a peek behind the scenes.” Marah Eakin’s oral history on the Double Dare obstacle course should make for a rather nice companion piece to this, don’t you think? Neighborhood Sessions (TNT, 10 p.m.): “R&B singer Usher performs in his hometown of Chattanooga in support of music and arts education.” Sure, that sounds like a fine idea. But if you need more context, sometimes TNT just plays concerts in musicians’ home towns. They did one for Dave Matthews Band in September. That’s all just part of the drama that TNT knows. Boom. Reba (Amazon Video/Google Play/Hulu/iTunes/Vudu): You know who else is a survivor? Reba. It says so right there in the theme song for Reba. So there you have it. Just don’t take a wrong turn and accidentally watch Malibu Country.